Gardeners living in New York or New Jersey need this easy-to-use guide for year-round plant care! 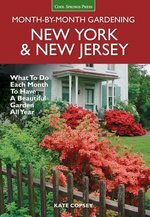 If you're a passionate gardener and a resident of New York or New Jersey, there's a book you must acquire for your bookshelf: New York & New Jersey Month-by-Month Gardening. Falling in line with the Cool Springs Press gardening series, this book provides monthly gardening advice, written just for New York and New Jersey gardeners. This gardeners' guide is organized according to calendar month--January through December. Each month is divided into the following categories: planning, planting, caring for plants, watering, fertilizing, and problem solving. Within those categories, gardeners will find the major plant groups (annuals, edibles, perennials, trees, lawn, and shrubs) covered in detail. Learn the proper time to plant your favorite bulbs and edibles, and find out how to plant bare-root trees. 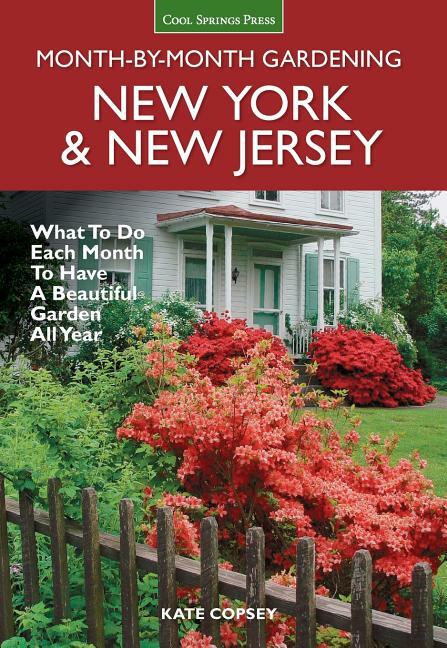 From planting perennials to coming up with a strategy for pest management, New York & New Jersey Month-by-Month Gardening guides readers through every major question that crops up. With essential how-to information organized into helpful sidebars as well as step-by-step photos to illustrate technique, this book is a veritable road map for a year's worth of gardening tasks in this diverse region. Roll up your sleeves, gardeners, and prepare to get dirty!